The National Safety Council publishes a report called Injury Facts every year that gathers safety data from across the United States. This year’s report, released at the end of March, showed some startling trends. The data, which looks at up to and including the year 2012, indicates that Americans face many safety hazards where they may not expect them. 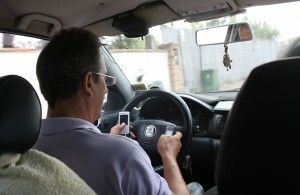 Cell phone use among drivers is still a serious risk, despite increasingly strict traffic laws. The NSC report shows that cell phones play a role in 26 percent of all motor vehicle accidents, which is an increase from the previous year. Of these accidents, nearly 5 percent involved texting and another 21 percent involved the use of hands-free or handheld phones while driving. While car accidents are still the leading cause of deaths amongst teens, the number of teens killed in crashes has decreased. In 2012, the highest rate of auto accidents occurred in July, while the lowest rate occurred in February. Furthermore, the three days surrounding New Year’s Day revealed the highest rate of alcohol-related collisions. According to the NSC, poisonings were the leading cause of death in 18 states. This includes cases of accidental poisoning due to prescription painkiller overdoses. The state of Florida ranks 10th highest in the country for drug poisoning deaths involving painkiller overdoses. Fall injuries among senior citizens across the U.S. are also on the rise. The NSC report concludes that the number of falls has increased 112 percent since 1999. Unintentional injuries, including falls, are costing more than $790 billion annually across the U.S. In regards to workplace injuries, harm suffered to the head or central nervous system are the most costly workers’ compensation claims. Learning about the biggest injury risks can help you take the necessary steps to reduce your exposure to these dangers and improve not just your safety, but the safety of those you care about. If you or someone you love has been injured in an accident, a Citrus County Injury Lawyer at Whittel & Melton can help you understand more about your rights and options. For a free consultation call us today at 352-726-0078 or contact us here.